Wondering how to cook broken wheat? Here's a simple yet interesting way to include cracked wheat into your everyday meals. Cracked wheat benefits health in more ways than one. If you learn cracked wheat for weight loss recipes, then you are working toward a healthy lifestyle. Even I am a health freak. Remember, the uncle next door for whom I had baked the suji mango cake? The 80 +year old is fond of idlis. We came to know about it recently. So one day hubby offered to make idlis for him. This was the right time to make another healthy set of idlis. Yes, I have made daliya idlis many times before. But this time it was different. How? I have always been wanting to make idlis sans baking soda or any emulsifying agent. You know the reason already! So this was the right time, I thought to experiment with fermentation. I soaked daliya overnight and next day was able to make super soft idlis. These are the softest I have ever had. The best thing the batter didn't get too sour. Yes, it is more sour than the instant daliya idlis I make often. But these are even healthier. After sending daliya idlis to this uncle and savoring the same in breakfast, I was still left with some batter. So I decided to experiment further. Made another set of idlis and kept them aside, for I had some food experiment going on in my mind. We have not had bread for over a year, since hubby has been fighting severe food allergy symptoms. So we tend to avoid a lot many things these days - no outside food of course, no baked goodies from the confectionery, and no food outings! Yes, this is how we are going about it! So the last set of idlis was put to use finally in the evening. 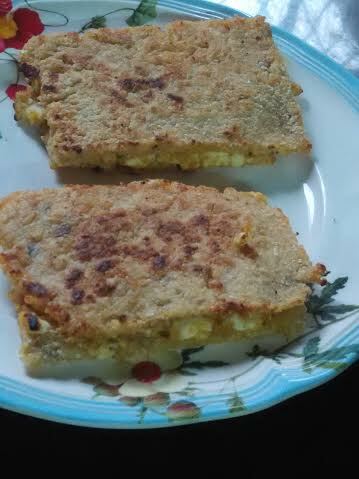 I mashed all idlis, mixed them with oat flour and roasted bengal gram podi (comprising chutney dal+salt+dry red chilly), mixed everything, rolled them out like a chapati, cut the sides to give a rectangular bread-like shape, topped one side with pumpkin chutney, added paneer (cottage cheese) as stuffing, covered with another, and shallow fried these beauties on a skillet, and that's it. This gave me the healthiest toast in the world. If you are wondering how it tasted...well, while I was in doubt, hubby said "it's too good." Mission accomplished for me. If you are looking for a cracked wheat for weight loss recipe, then skip the cottage cheese addition to the toast and substitute the same with fresh vegetables, including onion, tomato, and sprinkle some black salt, black pepper powder, and tomato chutney and wait for your toaster to give you another amazing treat, which is both healthy and tasty. Howzatt!!! soak urad dal and methi dana for 2-3 hours. Soak dalia separately for 1 hour. Grind urad dal and methi dana with enough water required for grinding. Add half of dalia to the ground mixture and grind together. Add the remaining dalia to the mixture. No need to grind it. This will give nice texture to the idlis. Keep the batter covered overnight for fermentation. Next day it should have risen beautifully. Add coriander leaves or curry leaves, salt, haldi to the batter. Mix well. This step is optional. Pour into idli moulds and steam for 10-12 minutes or longer. 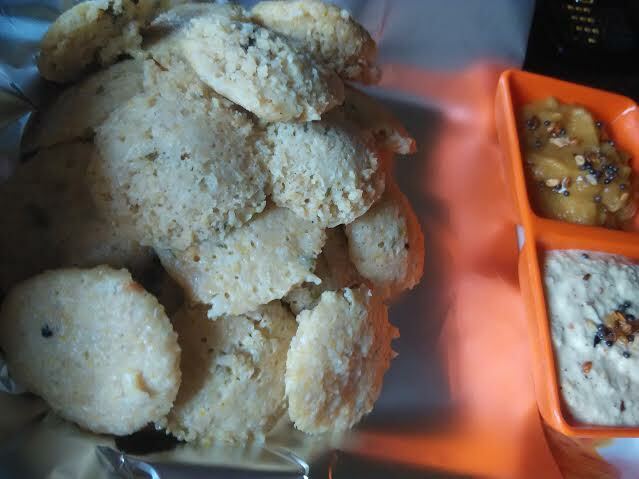 Enjoy healthy dalia idlis with chutney of your choice. I made coconut-Bengal gram chutney, tomato-onion-ginger chutney, and pumpkin chutney. Now let's make toast with leftover idlis. 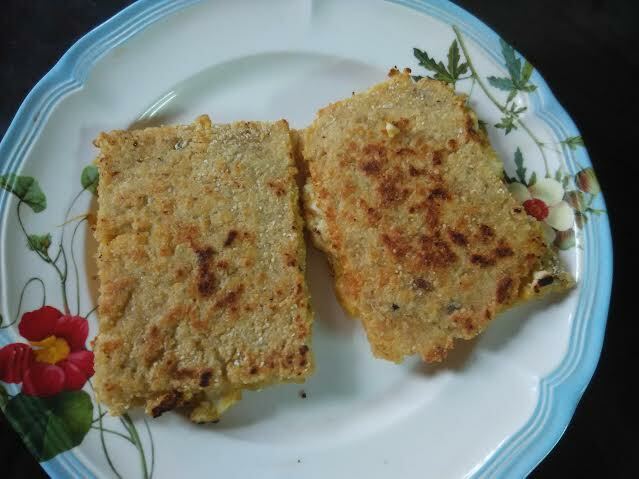 This is one of the best ways to use leftover idli batter or idlis. You may directly add the idli batter to a toaster and create magic with it. Of course, broken wheat would become part of your daily diet for weight loss after this trial! Tomato chutney or pumpkin chutney or any other condiment of your choice for topping. Take idlis in a plate. Mix the Bengal gram dal podi and oats powder. Mix very well. Add salt. You may add green chilly and coriander leaves. Roll out the balls like a chapati. Cut into rectangular shape-- just like bread slices. Top the rectangular pieces with chutney. I used pumkin chutney. Add some amount of chutney with paneer. Mash and mix well. You can add chopped onion and tomato here. I did not. Use this paneer mixture as stuffing. Stuff the slices just as you would do with bread pieces. Place the other slice over it. Roast or fry the stuffed slices on both sides. Enjoy these dalia idli toast with chutney of your choice. We savored these without any condiment. Still wondering how to cook broken wheat? We are coming up with more broken wheat recipes. You might just want to try sweet daliya pudding - my mom's way. 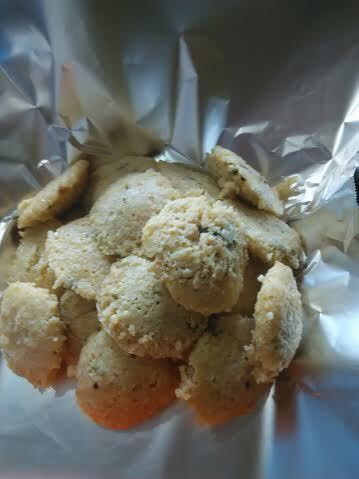 Would share the recipe soon.Here is instant dalia idli recipe. Only you can think of this. Superb dear.